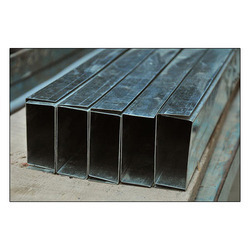 We are a leading Manufacturer of hot dip galvanizing, galvanizing service, galvanized iron channel and metal galvanizing from Faridabad, India. 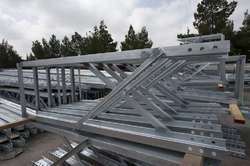 Hot Dip Galvanizing Service is much-admired by clients for perfect execution and promptness. This service is widely demanded in the industry because of on-time delivery by the experienced professionals. Offered service is hugely cherished by respected patrons and is available from experts at nominal rates. With maintaining utmost quality of Galvanizing Job Work, we are presenting it to our patrons. With the rich industry experience and continuous support of our team of experts, we are involved in offering a wide range of GI Channel. 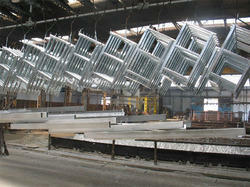 We are Leading Suppliers of Metal Galvanizing. 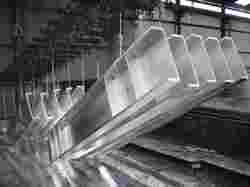 We are Leading Supplier of Hot dip Galvanizing.